When vegetables are nearly done, turn heat to low and add herb. Cook, stirring occasionally, until vegetables are tender. Meanwhile, beat eggs with some salt and pepper, along with cheese if you are using it. Pour over vegetables, distributing them evenly. Cook, undisturbed, until eggs are barely set, 10 minutes or so; run pan under broiler for a minute or 2 if top does not set. 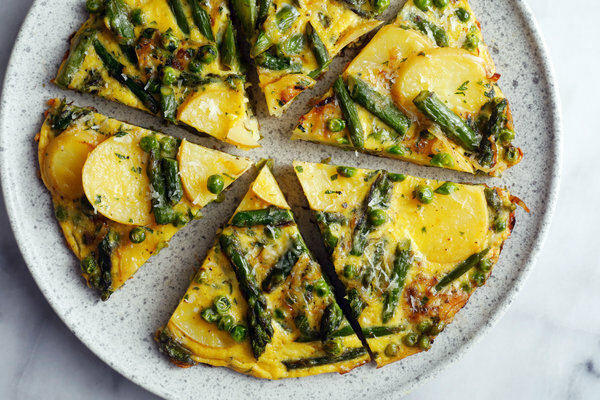 Cut frittata into wedges and serve hot, warm or at room temperature.